In 1720, the original workshop of La Maison du Pastel started producing its amazing pastels. 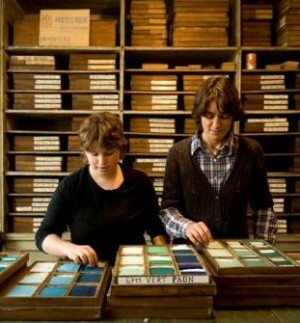 By the first world war, there were more than 1000 colours for artists to choose from. By 1937, a dizzying 1650 colours were on offer, and when they were presented at the Exposition Internationale de Paris, they won the Gold Medal for excellence. These amazing pastels are still made today in the same way – individually hand-rolled and made with exceptionally lightfast pigments and a minimum of binder. Using their unique historic formulas, they have a slight texture which makes their adherence quality excellent, needing no fixative, and they have true intense and clear colours. To date, you will find an evolving and expanding collection of 1085 colours (how to choose from such delicious options as rouge carmin, rouge doré, rouge capicine, rouge géranium, rouge de venise, rouge brique, rouge grenat … fabulous!). Each true colour is used to create a range of nine gradations by mixing the pure colour with white, black, or crossed with another colour. What more could a colourist ask for. But this venerable Parisienne house of colour has had a complicated past, and it is only through the dedication and courage of strong women that it is still in existence today. The chemist Louis Pasteur was an amateur pastel artist, and he introduced his former student, Henri Roché, to the Maison Macle, as the company was known then. Henri was a chemical engineer, chemist, biologist, gold medallist of the “Société de Pharmacie” and of the “École de Pharmacie de Paris”, he was also interested in art. However, he now had a personal passion. He worked in close collaboration with the old artisan from the Maison Macle, who passed down to him the centuries of knowledge embedded in the traditional skills of perfecting pastels, while on his side, Roché added his own scientific processes to the manufacture. Henri bought the company in 1878, renaming it La Maison du Pastel. He dedicate himself to producing excellent pastels, increasing the range from about 100 colours to around 500 colours by 1887. Henri looked to the artists of the day – Degas, Redon, Whistler, Sisley – for advice in order to perfect not only the qualities of the pastels, but also the choice of colours. A box of Henri Roché pastels was found in Degas’ studio after his death, and is now in the collection of the Musée d’Orsay. 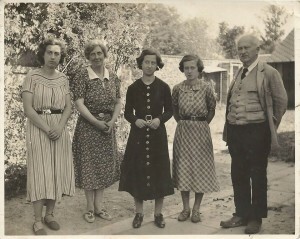 The Roché family photographed by artist Paul Maze in 1938: Huberte, Renée, Denise, Gisèle and Henri. Henri Roché had a son, also called Henri, and from 1912, Dr. Henri Roché started to divide his time between his own medical practice and his father’s pastel house. The younger Henri in turn worked with the artists of his time, such as Vuillard, to further perfect the range. The father and son publish Cahiers de l’Artiste, a series of pamphlets discussing fixating pastels, means of fighting mould and specialist framing techniques. By the eve of the first world war, the colours had been increased to more than 1000 ‘nuances’. But the young Dr. Henri Roché was called to fight in the first world war between 1914 and 1920, so the activity of the workshop was interrupted. 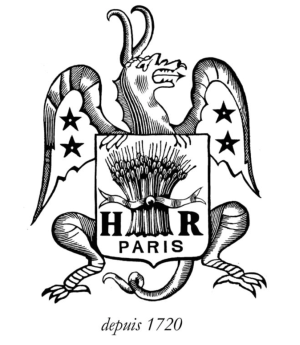 In 1925, Henri Roché senior died, and his son took over the company completely. 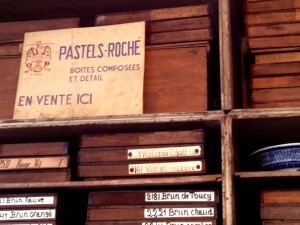 In the 1930’s, Henri moved the production out of Paris, to the workshop where the pastels are still made today. However, he kept the shop on Rue Rambuteau in Paris, where they had moved in 1906, which is the shop you can still visit. Sadly, the second world war also interceded and all production stopped again when Dr Henri Roché moved his family to greater safety in the South of France. Here, he set up a small laboratory and set about compiling the most important salvaged documents. He also managed to stay in contact with some of the artists. In 1946, when he moved back to Paris, the shop had been looted and occupied by the Germans. Despite his advanced age and ill health, his whole family set about revitalising the company, Henri worked as a Doctor to accumulate the money needed, and his wife and three daughters started to manufacture the pastels again. When Henri died in 1948, the company was taken over by the four women; his wife and his three young daughters, and when their mother Renée died in 1975, the eldest sister, Huberte, a dignified woman with a profound devotion to “her” artists, took over as the head of La Maison du Pastel. 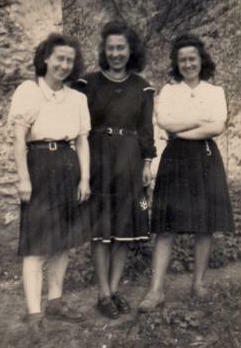 None of the three sister ever married. Huberte died in 1999, at the age of 85. Denise, a prolific artist in her own right, and her sister Gisèle took over the company. These two inseparable but elderly sisters still produced a small range of pastels, but they were in their eighties and had no direct descendant that they could pass on their knowledge and love of pastels to. Tangerine Dreams! 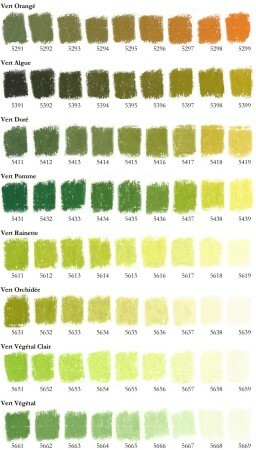 Some of the expanding range of over 9000 pastels. However, this story has another champion. They did have a great cousin, Isabelle Roché, who at the time was an engineer working in the oil industry. Luckily for us, she became fascinated by these magical pastels and decided to dedicate her life to resuscitating the company. This was not an easy task as, by then, they had virtually no clients or suppliers. For ten years she learnt from her elderly cousins and absorbed the skill and knowledge that had been passed down through generations. By 2009, Isabelle had recreated 567 shades. Meanwhile, in the USA, a young fine art student became a great admirer of the exceptionally rich and luminous colours of the Roché pastel, so much so that she came to France to do a work placement for Isabelle at no cost, offering to do anything to help, even sweeping the floor! Margaret stayed, and since 2010 has done more than sweep the floor. She now researches the pigments and formulates the new colours, as well as working in the shop with Isabelle when it is open on Thursday afternoons. An artist in her own right, Margaret has a formidable colour sense and an irresistible enthusiasm for La Maison du Pastel. Isabelle and Margaret make these legendary pastels in the same workshop just outside Paris where Henri moved his family in the 1930’s. 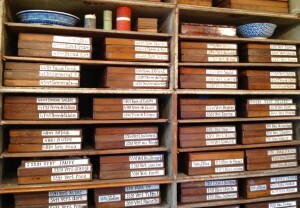 In the dusty quiet of the French countryside each precious pastel stick is produced by hand using the original techniques that the Maison Macle artisans passed down to Henri senior, who passed them onto his son, who taught his wife and daughters, and eventually the sisters passed on these secrets to Isabelle Roché. This is a direct line going back to 1720, and the sequence of production has not changed since. Dough like slabs of intense colour are mixed to a precise intensity, then they are pressed to get rid of the excess moisture, small balls are weighed and rolled, cut and stamped by hand with the historical seal of the house of Roché. The pastels are then left to dry for up to two months before finding their way to artists around the world. However, Isabelle and Margaret have a mission. They are the keepers, the guardians of the tradition. But they are not standing still. Even though today they have colours that you can not find elsewhere, by creating new colours or being inspired by their collection of original pastels going back to 1887, they are hoping to recreate 1,650 colours by their 300th anniversary in 2020. This is the number that the house had presented to artists back in 1937. I have no doubt that they will succeed as they are well on their way. However, this type of dedication and the creation of perfection does not come cheaply. These are not the insipid chalky or sticky “pastels” you can buy today, mass produced in garish, fading colours that slip off the paper in a dusty mess or fuse together to form muddy colours. These dry, slightly grainy Roché sticks, although feeling firm, release the pigment easily. The luxurious and luscious Roché colours stay pure and separate and true to their colour for centuries. They are perfectly opaque and respond to a gentle touch, blending beautifully and the high pigment concentration means that blending gives bright results. 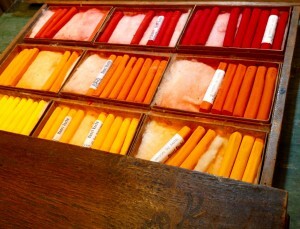 Many artists feel that these utterly gorgeous pastels are the best and the most desirable made in the world today. Their lineage tells you they are indeed the real thing used by famous artists for hundreds of years (look at the pastel work by Degas for confirmation), and they will transform how you think and feel about working in pastel. The shop in Paris is open on Thursday afternoon, or by appointment, so search them out in the small cobbled courtyard at 20 Rue Rambuteau, in Le Marais, Paris, 75003. Their face book page is here. 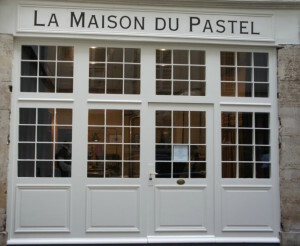 Their website is here: La Maison du Pastel. A list of their current colours can be found here. Their shop at 20 Rue Rambuteau, Paris 3ème. It is hidden in a small cobbled courtyard.